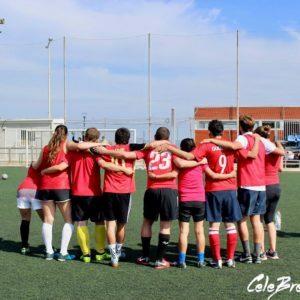 For the first time ever, Celebreak is hosting a Corporate League for companies to compete against each other. 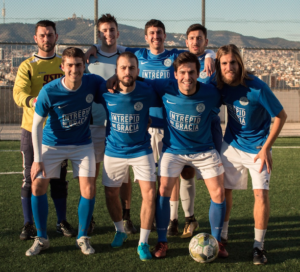 The League will be similar to CeleBreak’s existing leagues, except with the twist of Barcelona-based companies and offices competing against one another. This elevated level of competition will add to the fun of the league while providing many benefits for the companies. With so many reasons to participate in it, the Corporate League is bound to be a success for everyone! The teamwork demonstrated by employees on the field will be transferred back into the office. Tasks will be completed more efficiently and to a higher standard due to better teamwork. Moreover, communication skills amongst employees will be improved, leading to a better working environment. After all, there is no better way to bond and create a stronger team. Competing against other companies in Barcelona creates the perfect networking opportunities, both for your company and for your employees! Meeting other professionals from across the city will expand your professional network and lead to many benefits in the future. 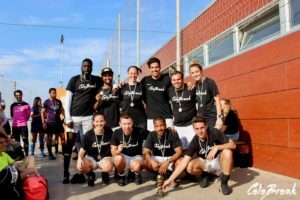 Participating in the CeleBreak Corporate League is the perfect way to meet and stay in touch with other local companies. At CeleBreak, we have over 3,000 regular players and even more social media followers. Thus, participating in the Corporate League is a great opportunity to reach this new market for your company. Throughout the league, we will be posting photos of you and your team. Our website and social media channels will display photos of your team along with the company logo. Additionally, reaching all of our regular players gives you a great way to contact potential new clients. It will be a great marketing opportunity for every company! In today’s day and age, we spend the majority of our day sitting at a desk, simply looking at a computer screen. As a result, it is increasingly important to keep active to counteract the amount of time spent sitting at a desk. The Corporate League is a prime way to help your employees get up and moving. This will lead to many health benefits and increased energy amongst employees. Similar to how the workday is taking away from physical exercise, mental health and issues regarding stress are becoming more and more relevant. What better way to counteract a stressful work environment than playing a game of football with all of your colleagues? The positivity and joy experienced at CeleBreak will boost morale around the office create a more positive work environment. 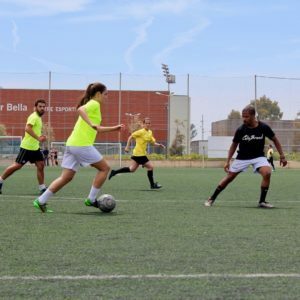 At CeleBreak we are all about having fun, and this also applies to our Corporate League. Whether your employees have played semi-professional football or if it is their first game, everyone is guaranteed to have fun on the field. With this positive atmosphere, no one will feel left out or unable to play, making it enjoyable for everyone!